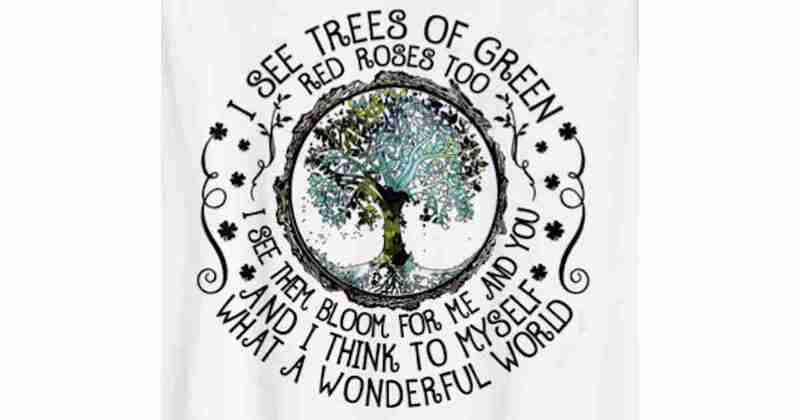 I See Trees Of Green Red Roses Too Hippie T-shirt, for Men & Women. Five colors to choose from. Tagged appreciation, Inspiration, peace, relationships, wonderful, world.